Read on to find out more about Personal Training here at Exmouth Leisure Centre just take a look! If you would like to have a talk feel free to contact us on 01395 266381 or pop in and have a chat! Don't forget we offer a range of options for you! Buy 5 sessions and get 1 session FREE! 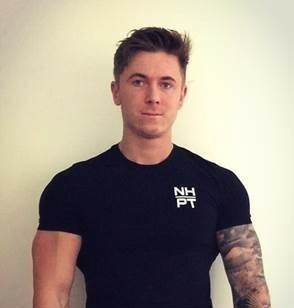 I have been Personal Trainer for 3 years now, I tailor to all fitness goals no matter what they are, whether you’re looking to lose weight, tone up, increase strength and size I will help you achieve this. I myself have been weight training for over 4 years, I grew a passion for fitness and wish to promote this to everyone. Feel free to book a taster session or a consultation and we can get started! This year I entered my fourth Race for Life and decided to walk the first part, then aim to run towards the finish of the 5K course. After the first few hundred yards my friend remarked that I seemed much fitter than in previous years. I explained that I have been helped by a personal trainer, Vladka Juroskova in Honiton for some time now and that her careful and thorough guidance had made a such great difference. Although I started from the back of the pack, we finished the course in just under 60 minutes, and by then not at the back! So thank you, Vladka, all your efforts and patience are much appreciated. I am really looking forward to the next race in 2018!